PureVision 2 contact lenses are made of silicone-hydrogel and are designed for wearers who suffer from a lack of contrast sensitivity and blurred vision in low light. This package also contains a 400 ml bottle of Laim-Care solution. 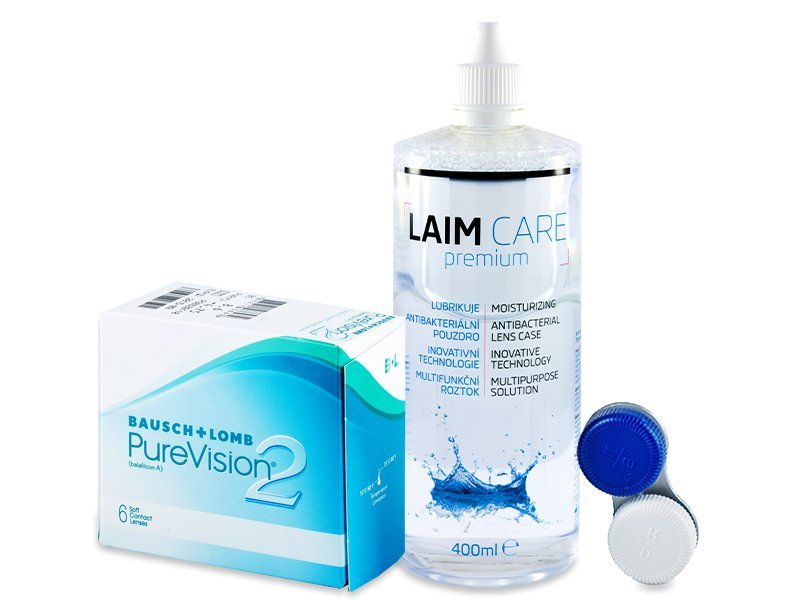 Bausch and Lomb manufactures PureVision 2 monthly contact lenses. These silicone-hydrogels have been developed for wearers who suffer from a lack of contrast sensitivity and blurred vision in low-light conditions. These innovative lenses are ideal for drivers, students, or sportspeople.